What’s Putty? Is it different than Slime? If you have bought Putty at the store before you may have noticed that the texture is somehow different, but still very similar to slime. 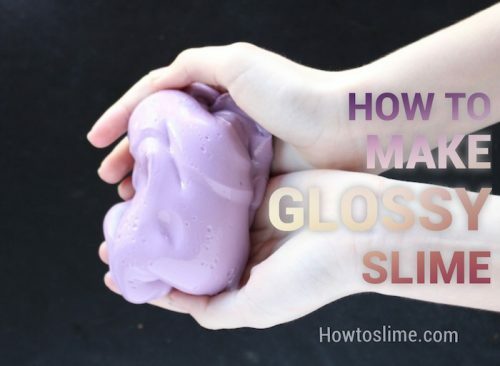 So what’s the difference between Slime and Putty? Silly Putty is a classic toy created in the 1950’s by Crayola. It’s rubbery, bouncy, very elastic and stretches a lot if pulled apart slowly, but it will snap in two if pulled apart quickly. So how do you make putty? 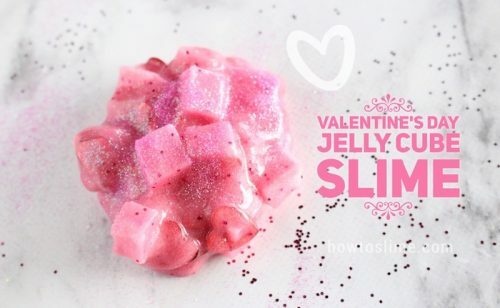 Is it the same recipe as making slime? To make putty you will need the same ingredients as when making slime, just a different amount of activator. When making slime you don’t want to add too much activator or it will become stiff. Have you ever add too much activator to your slime? Then you got yourself some putty! Putty is just the same than slime but thicker. 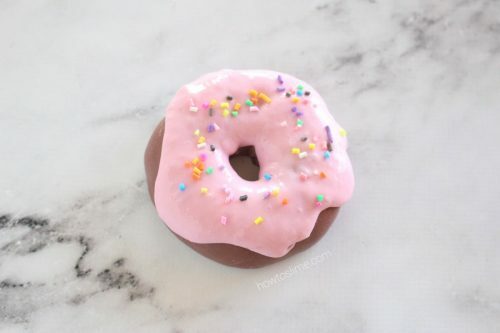 To make putty you will also need glue and borax (or any other activator), just make the texture thicker instead of thinner, so it’s not sticky at all. The more activator you add the thicker it will become, so the texture will be more like putty: moldable, rubbery and bouncy. Don’t add water to the glue when making putty. Also, don’t add any lotion, baby oil or any other ingredients, just add glue, activator and food coloring (if desired). Adding other ingredients as lotion it will make the texture more smooth and stretchy like slime. 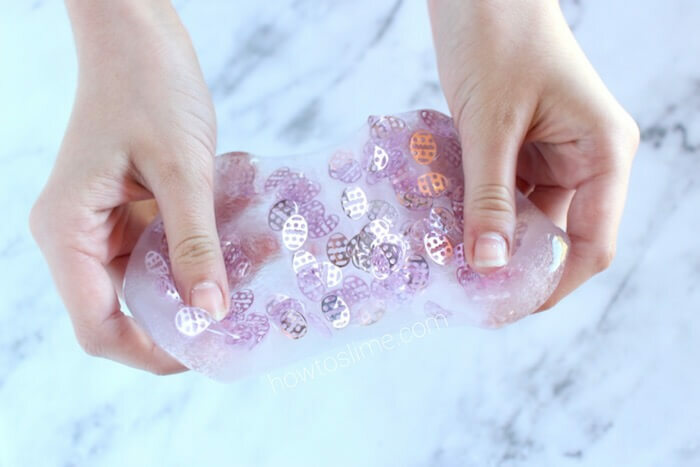 Did you buy putty but want to transform it into slime? That’s actually something very easy to do! 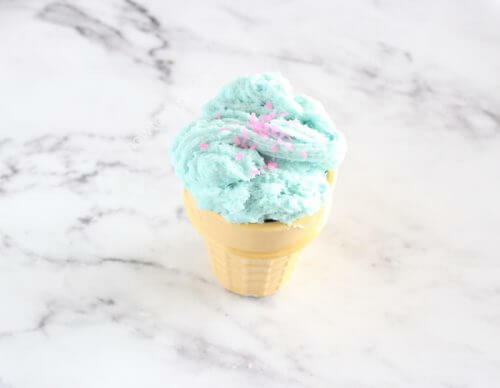 All you have to do to make slime out of putty is add some lotion, hand sanitizer or baby oil to the putty and knead with your hands until it’s soft and stretchier. You could also add some hot water to the putty by placing the putty into a bowl with the hot water for a few second and then kneading. I think putty is better for small kids because it’s not as sticky as slime, so it’s easier to play with. I personally prefer slime, but both are fun to play with! 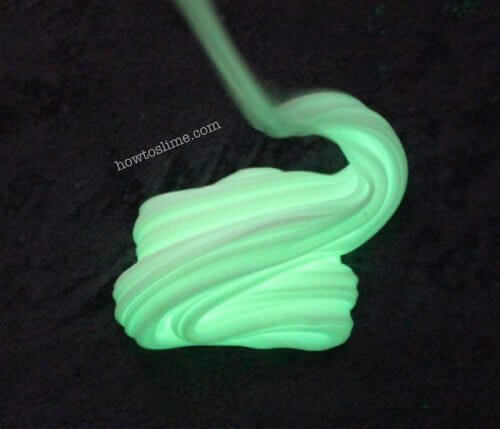 Which one do you prefer, slime or putty?